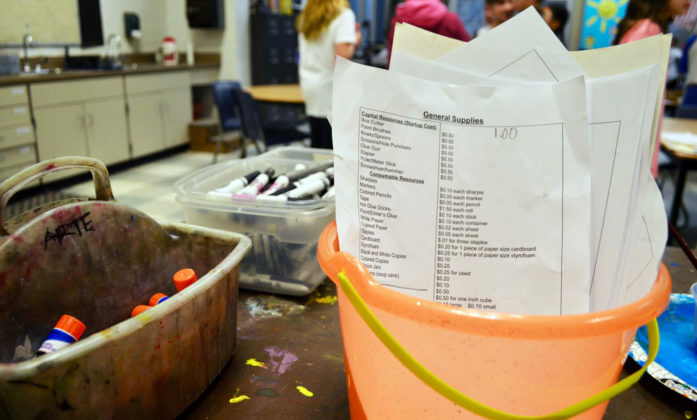 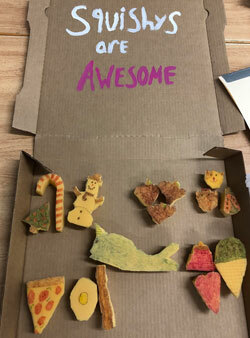 If you’ve ever wondered what it sounds like to be inside a toy-making workshop, a recent visit to Jenn Gregory’s art class at Ada Vista Elementary would have cleared that right up. 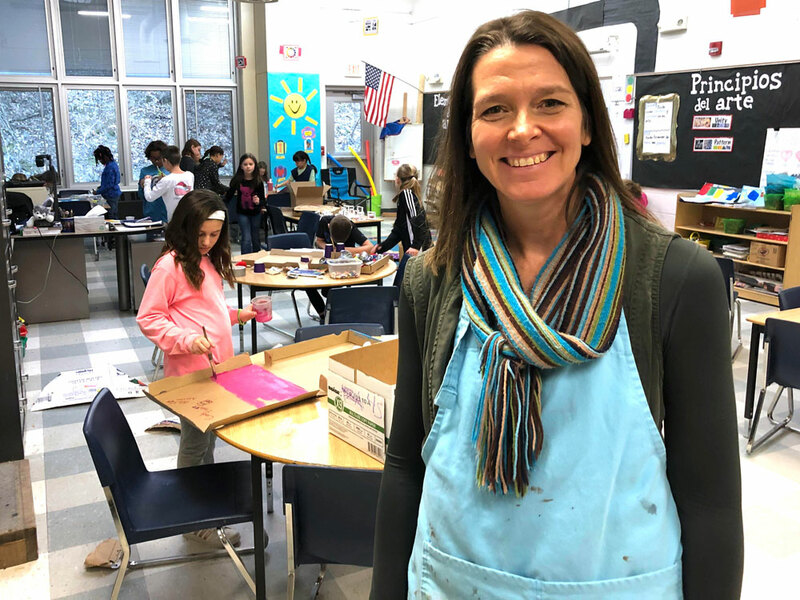 It was a joyful noise of fourth-graders at the Spanish Immersion school as they painted, sewed and hot-glued toys of their own making. The toys were to be sold to parents Dec. 20 as a fundraiser for the World Wildlife Fund, an international animal conservation organization the students selected. 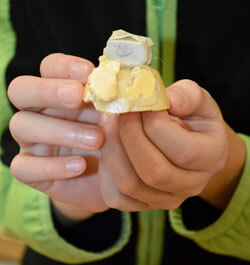 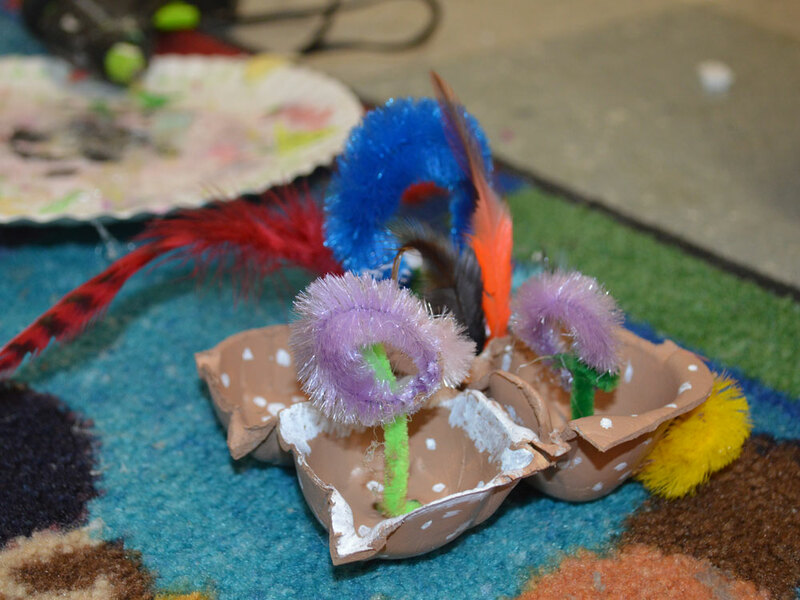 Gregory said fourth-graders used design thinking to generate ideas, sketch and construct the toys they would make. 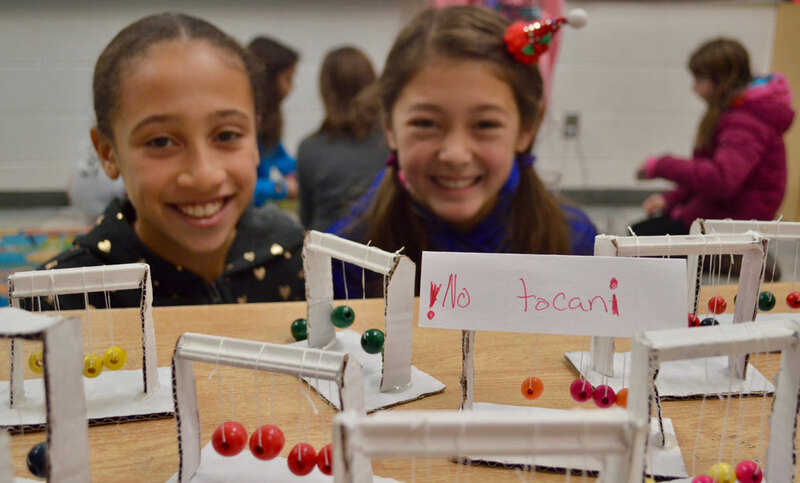 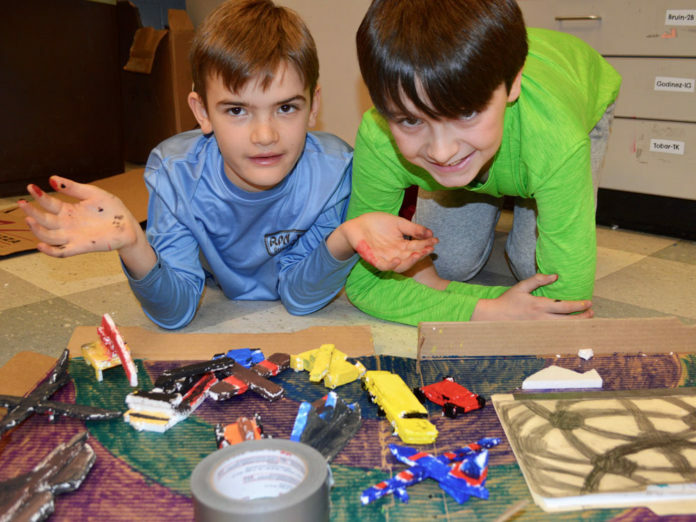 As an added, cross-curricular twist, each toy was given a materials budget of 10 virtual dollars, and art supplies and equipment could be purchased or rented — for instance, scissors could be used for a one-time startup fee of 50 cents, and staples cost a penny for three. 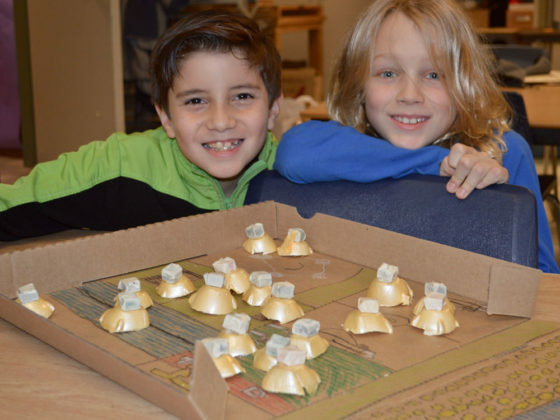 Dominic Mulder and buddy Miles Holter made sports figurines from egg carton bubbles that could be moved along a pizza-box game board-turned-football-or-soccer field, swimming pool and basketball court. Amaya Anthony and Aurelia Chabot planned to make a windfall with their fabric octopus-like dolls who are all named Shelly, as in sea shell. 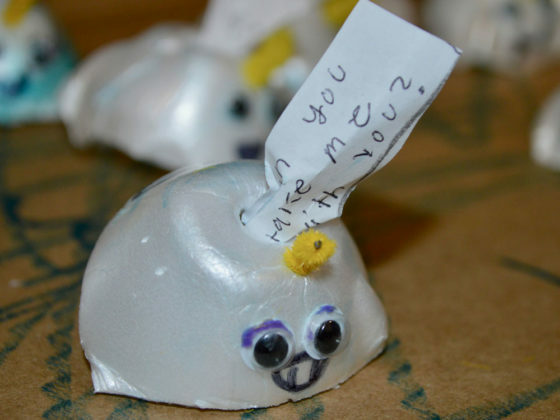 “We wanted an underwater name,” explained Aurelia. 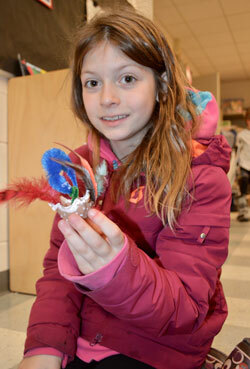 The thrifty pair spent $4 to create 21 dolls and planned to sell them for $1 apiece, Amaya said.